Extreme weather, bomb threats, combustible dust explosions — these all require manufacturing companies to switch into emergency gear. Since these situations invariably cause panic, the best way you handle them is by having a plan in place. 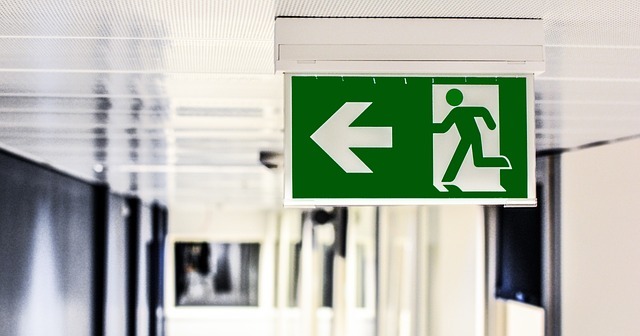 This article outlines the 10 essential elements of an emergency evacuation plan. OSHA identified these elements, and we adapted them to include visitors as well as employees. Also, for your own planning, here’s an Emergency Response Plan checklist from the Department of Homeland Security. Many conditions can create an emergency situation. But not all of them would require an evacuation. Whether or not you need to evacuate depends several factors. These include the type of emergency and the characteristics of the building (e.g., how many stories, the construction material). Your plan should specify exactly the conditions that require an evacuation. In some cases, it would be safer to stay indoors, for example, if the outside environment contains toxic chemicals. In these situations, you should have a designated interior room (preferably with no windows) where employees and visitors can gather. Who is responsible for assessing the situation and deciding if an evacuation is necessary? Who will take charge on each floor of a high-rise building? What about notifying emergency services? Make sure everyone knows exactly what their role is and is trained to perform it. The locations of all emergency equipment, routes, and exits should be marked and kept clear of obstructions at all times. If your building has many interior spaces, such as stairwells without windows, consider painting arrows and marking exits with photoluminescent paint, which glows in the dark. High-rise buildings pose special evacuation challenges, and OSHA identifies special responsibilities for both employers and employees. Chief among them: posting evacuation plans on each floor, identifying and training personnel on each floor who will be responsible for getting people out, and making sure everyone is accounted for. A visitor management system can assist here by providing a digital visitor log. This will help you account for any non-employees who were in the building. A good rule of thumb is to have one “evacuation warden” for every 20 employees or visitors. The evacuation warden checks offices, closes fire doors, and so on. The warden should also consult the visitor log to make sure all visitors — who might not be familiar with the building evacuation routes and exits — get to safety. In a manufacturing facility, it isn’t always feasible to shut down everything at once. In this case, certain employees may need to stay behind to turn off the machines and utilities. If you have people filling this role, be sure they also know when it’s time to jump ship for their own safety. This is where a visitor management system will really come in handy! OSHA recommends designating assembly areas and taking head counts. But, these procedures won’t necessarily account for everybody. For example, the evacuation warden for floor 20 might know that 34 people work on that floor. But without a visitor log, they wouldn’t know that there were three visitors in the building when the alarm sounded. A visitor management system provides a cloud-based digital visitor log that your evacuation wardens can access on their phone to make sure everyone — not just the employees — is safely out. Respirators are different from other PPE because they must be selected specifically for the hazards that are present. There are four categories of respirators for use in different conditions. For more information, view the applicable standard, 29 CFR 1910.134, as well as this compliance guide from OSHA. Would you like to learn more about the benefits of a visitor management system? Check out our Features page!